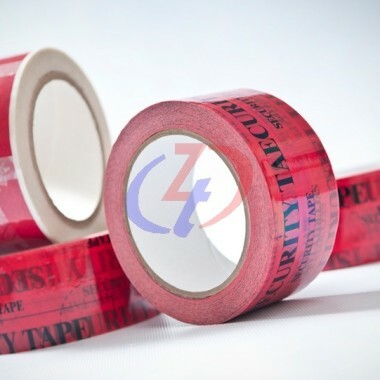 Carton Sealing Security Tape, as its name suggests, is a tape to be slit on carton seam. It comes with security properties where any attempt to open the box can leave obvious marks and evidences. 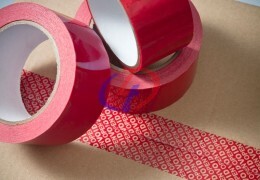 This tape ensures the highest standard of privacy during the entire process of shipping carton. 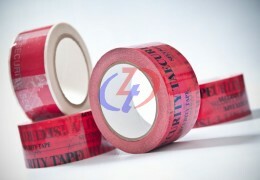 The carton sealing security tape leaves word, such as void and opened, on the adhered surface when the tape is removed. The ones with printed surface, when opened, shows misalignment in the printed pattern. Therefore, you can rest assured that the item kept in the carton only reaches the targeted recipient.